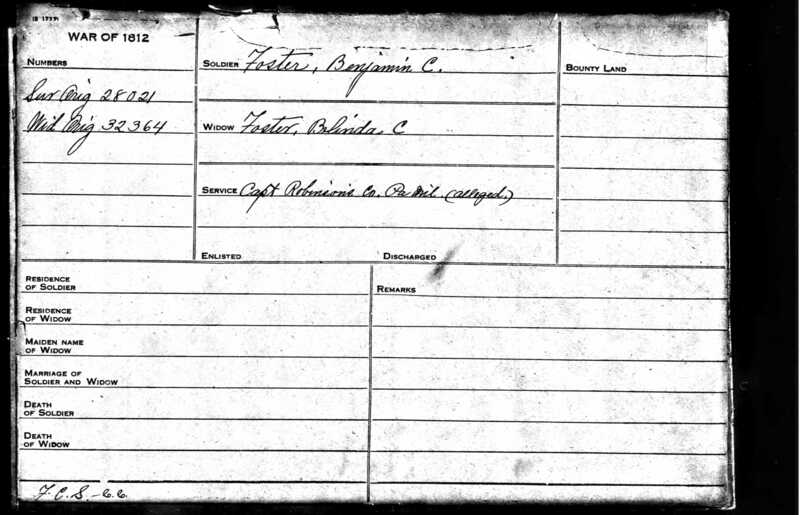 So he was 15 at the time of the War of 1812….was that uncommonly young to be married and serve in the war? These can be really important records for those researching in states where records burned up in fires. We managed to take our one family line back two generations due to a pension application of widow of husband who died of measles in 1814 after going off to join the war. I don’t know what I will find with the pension but Benjamin is one of my brick walls. I can’t get any further back on his line. Foster is such a common surname!